I mostly know Jeff Garlin from Curb Your Enthusiasm and Arrested Development, though I believe it was This American Life where I was told he is a «comedian’s comedian». I can see that; the guy has one hell of a comedic presence. Handsome is not a movie for everyone. It’s a noir-ish murder mystery, not particularly well written or directed. Granted, it’s not a shocker to see a great comedian unable to carry over their craft to a broader medium—Norm Macdonald has repeatedly proven that—but my hopes were high. It does kind of work for me. Kind of. Because there is a funny backbone here, and the cast is great. Co-starring Natasha Lyonne — mentioned on this site for her turn in Madhouse — and Amy Sedaris, you’re pretty much guaranteed to get some on-screen shenanigans. But it is Steven Weber who takes it all home.1 Playing a narcissistic actor who (revealed in the first scene) is the killer, he manages to ham it up so even the biggest hater will get a few chuckles out of it. 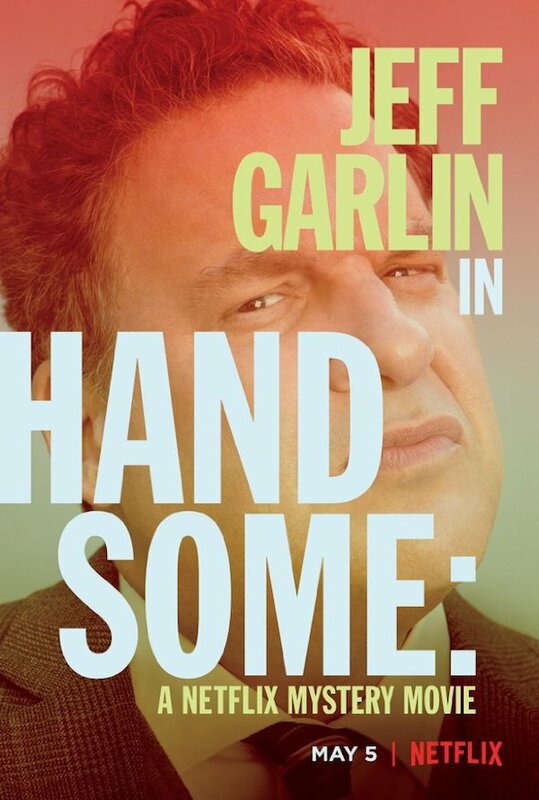 That aside, if you don’t like Garlin’s brand of humor, you probably won’t get much more to find in Handsome. It is in no way a great, or even particularly good, movie. You subjectively can get some entertainment out of it, if you like this kind of thing, the Garlin-esque type humor. Otherwise, you probably will be bored. A sequel is being hinted at, and I assume Netflix—yes, it’s a Netflix exclusive—will go for it, should enough people watch the thing. It’s not a high budget affair, and they did, after all, sign another four movie deal with Adam Sandler. The bar isn’t set particularly high. I laughed at/with Handsome, and I’m pretty sure any Curb fan will enjoy the film, too.